Robert De Niro, recently in Cannes for the film festival speaking about his latest critically acclaimed movie, Hands of Stone, about storied boxer Roberto Duran. He sat down and spoke at length with Vulture.com about his movie and of course was asked about his connection with autism. He also announced his intentions to release a documentary about vaccines with one of the biggest industry powerhouses, Harvey Weinstein. De Niro has also been seen with vaccine safety activist Robert Kennedy Jr, leading to speculation of his involvement in the film. 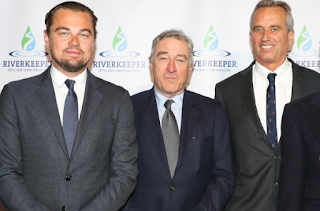 After the interview, the writer announced the intention of De Niro to release his own documentary about vaccines, with the support of Harvey Weinstein.